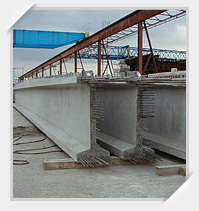 Prestressed and non-prestressed slabs are effective structural solution for bridge decks, overpasses, floor and roof systems, etc. 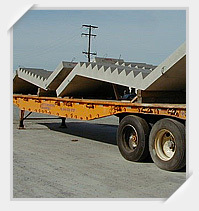 The double tees are a good solution for wall, floor and roof systems requiring long uninterrupted spans and extra heavy load capabilities. It does not require additional finishes. May be designed to allow openings in the flange areas. Sizes vary from 8" to 10" wide, and 24" to 30" deep. 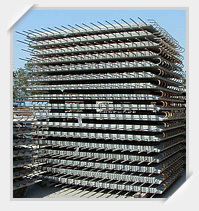 Height: 1295mm, 1472mm, 1710mm, 2000mm. 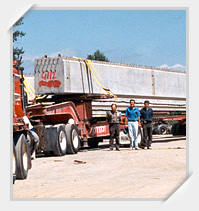 We also produce custom designed box girders. 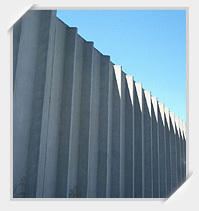 Panels may be produced in a wide range of widths, lengths, thickness and exterior finishes. 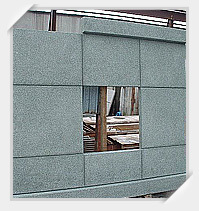 Flat, repeating precast wall panels are the most time and cost effective. Structural stairs are custom manufactured to match design requirments. Precast concrete columns, beams and stairs are elements of the structural system that provides durability, fire resistance, and energy savings and allows wide open span attractive design solutions. 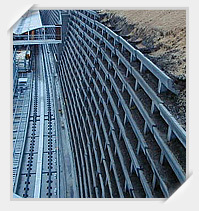 The evergreen retaining wall is a precast crib wall system designed to provide lateral support to vertical slopes of soil and at the same time allow plant growth so the wall can be completely hidden by foliage. It is suitable for any environment and quickly enhances the eco system.